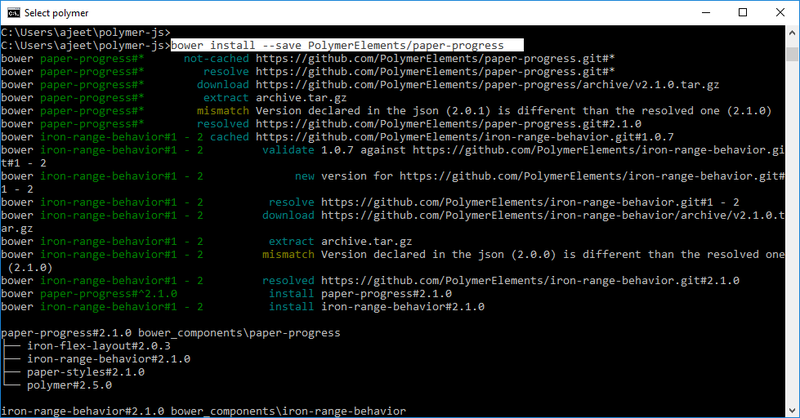 In Polymer.js, paper progress bar is used to determine the percentage of task completed. It specifies how much time a user have to spend for completing a task. 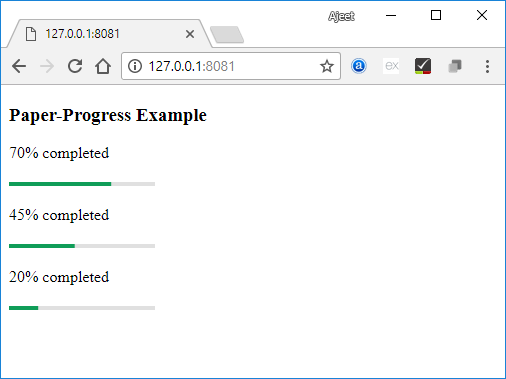 Secondary progress is also available for displaying intermediate progress. Use the following command in your command prompt to get paper-progress in your directory in working condition. Create an index.html file and add the following code in it to see the use of paper progress element in Polymer.js.